You don’t have to take our word about SunMaxx solar thermal collectors and systems! Get the low-down on SunMaxx solar thermal systems, kits and more direct from the people who matter most…our valued customers – all on video for you to sit down, watch and get a feel for how SunMaxx can help you today. 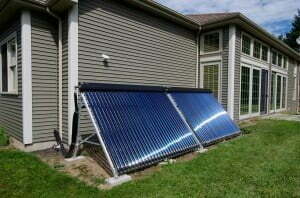 Installed a Solar Hot Water System at the house of John Semmler. The system takes care of his hot water and heats his indoor pool. Here is a brief testimonial from John Semmler about his solar install of SunMaxx Solar Vacuum Heat Pipe collectors. Check it out!